"My goal when I first met with Ashley was to be in the best shape of my life by the time I was 50. I still have over a year to achieve that, but honestly the results I have already seen and felt based on the individual program and nutrition guidance I have received from Ashley has been amazing! She has far exceeded my expectations! I love the open gym concept – it is so inviting. The community – which is made up of all shapes and sizes and abilities is truly inspiring and supportive every day! The program is a great mix of aerobic and strength. Ashley makes sure I am improving and meeting mini goals along the way to feel successful on this new journey. She modifies the training if needed and is constantly changing things up so it is never boring! She is supportive and understanding and flexible – which are all needed for my busy life. This is not only building my physical strength but my mental and emotional strength in the process. It is truly a life changer for me and I am so glad I took this wonderful opportunity for myself! 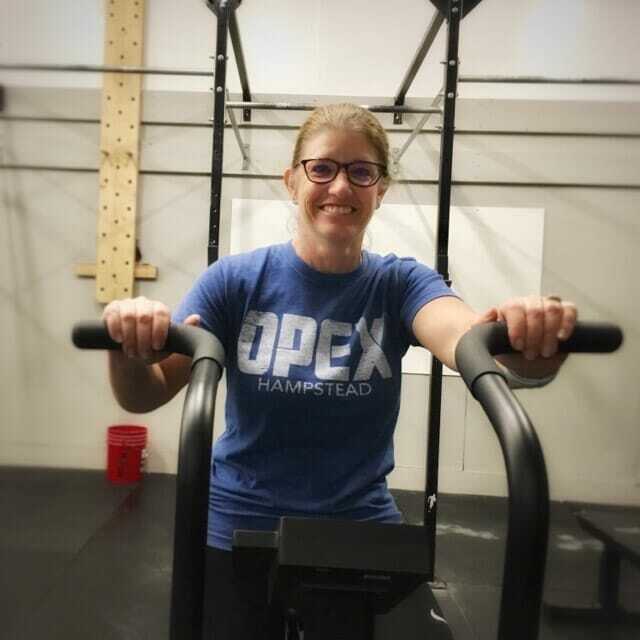 I look forward to my time at OPEX Hampstead and the incredible coaching of Ashley and Kyle. They have such a commitment to their clients and business and truly are passionate about what they do. Thank you OPEX Hampstead!"